Addis Ababa (AFP) - Ethiopia's government said Tuesday five people had died in weeks of protests sparked by land grab fears in the country's Oromia region, dismissing opposition reports of dozens dead and scores arrested. "So far we know that five people died," government spokesman Getachew Reda said, adding "peaceful demonstrations" that began last month had escalated into violence. "Now... they are terrorising the civilians and inciting ethnic groups against others -- they even killed administration officials, even unarmed policemen," Getachew said, saying some protestors had guns. 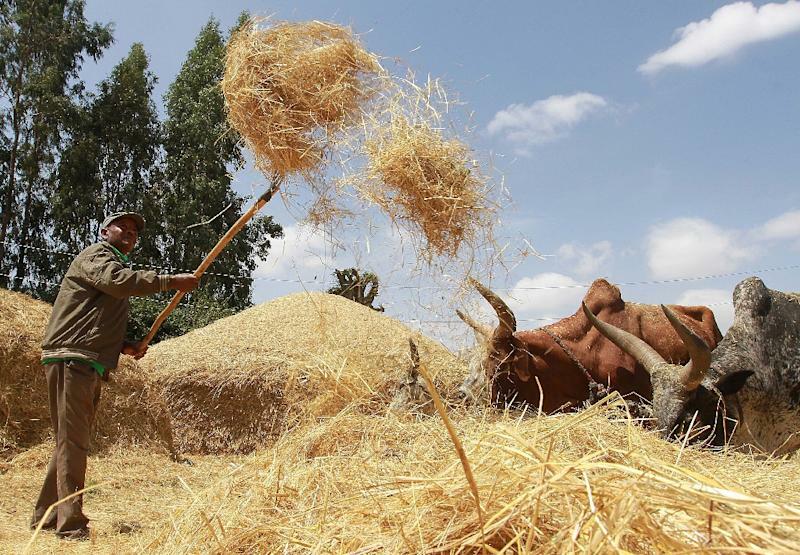 Protests have taken place in towns including Haramaya, Jarso, Walliso and Robe, sparked by fears over land grabbing as the capital Addis Ababa expands onto land traditionally occupied by the Oromo people, the country's largest ethnic group. Pictures have been shared on social media claiming to show bloodied protesters and armed police firing tear gas at student demonstrators. Pressure group Human Rights Watch (HRW) said the protests appear similar to those in 2014 when police were accused of opening fire and killing protestors. "The current protests echo the bloody events of April and May 2014, when federal forces fired into groups of largely peaceful Oromo protesters, killing dozens," HRW said this month. The government said eight people died in the 2014 unrest. "Both then and today, the demonstrators are ostensibly protesting the expansion of Addis Ababa's municipal boundary into the surrounding Oromia region, which protesters fear will displace Oromo farmers from their land," HRW said. "But these protests are about much more: many Oromos have felt marginalised and discriminated against by successive Ethiopian governments and have often felt unable to voice their concerns over government policies." With nearly 27 million people, Oromia is the most populous of the country's federal states and has its own language, Oromo, distinct from Ethiopia's official Amharic language. The protests began in November when students opposed government proposals to extend administrative control from the capital to several towns in Oromia, sparking fears of land grabs.